We are a delivery service of the Berkshire area and we deliver mc Donald's Kfc fish and chips subway burger king balti king pizza hut forest Chinese indian takeaways Chinese takeaways restaurant orders shop runs Alcohol cigarettes and small gifts. 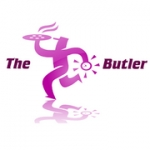 Our goal at The Butler is to provide you with a superior service at the most competitive price in Bracknell. We work hard to ensure that we surpass the expectations of our customers and deliver the assistance and advice that they need. With many years experience in the industry we can offer you our expertise and knowledge to help you today... Contact us to find out more. The customer will ring us and place an order we will collect the order pay for the order and deliver it straight to there door we then collect money from them plus our delivery charge. we deliver hay straw and shavings we can deliver anything we can get in the car. We also collect animal food and products off the Facebook buy and sell, we have efficient heat bags to keep the food hot and to the right temperature. we deliver corporate lunches and daytime work places people can also pre order to get the food or the products at the right time to suit them. we accept cash and card we have a card machines and its a £1.50 fee to use the machine as we pay a percentage. If you don't see what you need on our website then feel free to call us and ask us and we will do our best to help you get what you need. we are a family run business we are very reliable and a friendly team.